The Adversary inspired me to feel that way. After I posted here almost a month ago, I had not played until 12:00 today and I decided to finish the game while a was at it. I hadn't played because I was busy with other stuff and I wasn't that motivated for some reason. Anyway now I finished it I have to say, it's quite good. It's not great though. The characters and story are quite interesting, the town itself and the surroundings look very good but the monster design is poor in my opinion and I cant really tell if sometimes the textures forgot to load or that they just forgot to put them on. Music and sounds where a let down too. I listened the OST on Spotify and it was really nice but most of the game there was only one track on the loop. 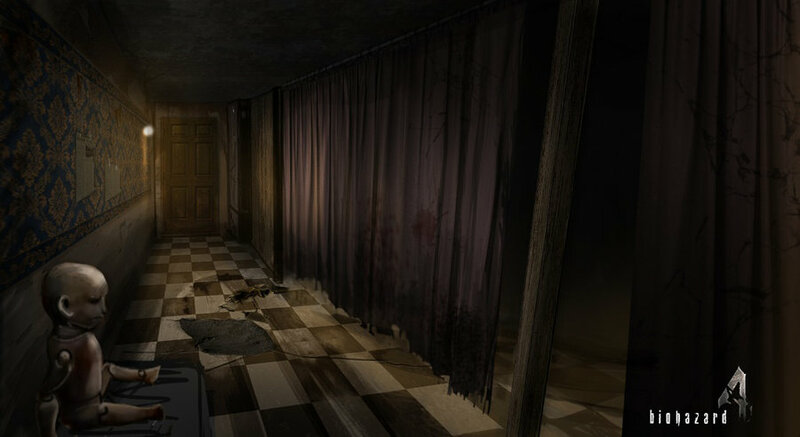 The game itself was eerie and sometimes a bit unsettling but a far cry from the horrors of the Team Silent games. Murphy's goal is pretty obvious from the get-go. Not only is he trying to evade the authorities after the car accident, but he's also trying to escape town. Pretty much all there is to it. Which would be easy except that all the roads and ways out are blocked (and even if he did try to just walk out, I'm sure there will be something that prevents him from doing so. You'll find out why after St. Maria's). The portal, wheelchair, water and storms are all connected to the story. You'll find out. The birds, though... Eh, I figured the birds tied in with Murphy's symbolism as a prisoner and confinement, because, get it? He's a jailbird? I'm not sure where you get the game suggesting that you not kill the monsters, though. On my first playthrough I slaughtered the hell out of them. Just beat the game and I STILL don't know what the portal thing is. Also, the loading screen sometimes says it's better to run than to fight, and there's an achievement for not killing anything. The "portal" thing you're talking about is called the Void. In my opinion, it's a manifestation of the truth of things that Murphy always runs away from. If you look at the sun during the early parts of the game, you'll notice that the sun's rays look exactly like the Void's. So, it could be taken as the truth of the events that surround Murphy. Frank's voice even says; "Truth is like the sun, boy. You can shut it out, but it ain't going away. ", during one of the chase sequences. While being chased, Murphy can knock over Tormented Souls to slow down the Void. In this respect, the Tormented Souls could represent the innocent people who have indirectly suffered due to Murphy's actions and little regard for others after his son's death. In pushing them into the path of the Void, he is essentially sacrificing the defenseless creatures at his own convenience. A very thoughtful interpretation of the Tormented Souls/caged creatures Murphy throws in front of the Void. I never thought about that with the sun. That's actually an interesting (and possible) symbolism right there! I also just noticed how "truth" seems to be a running theme in the game, so I can see that being plausible interpretation of the Void. Oh, right. Well, that can be valid advice if one of the police cruisers ever happen to catch up with you and you wind up getting swarmed. ...sometimes, in Soviet Silent Hill, monster runs from you. I hate, hate, HATED the storyline. So unoriginal and bland and super duper lame. 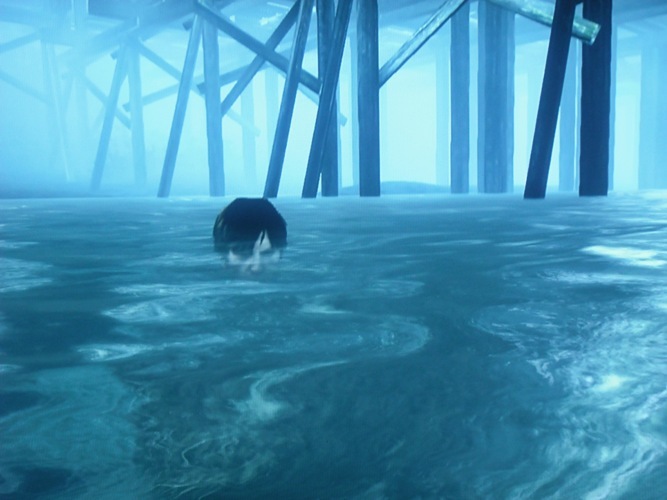 What is every silent hill just going to be main character X feels guilty over the death of relative Y? Is that all developers can come up with? A clone of a clone of SH2? Travis, Alex, Cheryl, and now Murphy? Whats especially worse about Downpour is how morally linear it is. It pretends to offer moral dilemmas. But no matter how you play; no matter if you choose forgiveness, revenge, silent hill is always going to treat players like 5 yr olds learning the most black & white morality lessons. If you do anything other than the predictable goodie goodie choices, murphy is going to say "oh my god, why did i do that" 2 seconds later, and silent hill is going to shake its head at you. I guess you must have forgotten the other half of the story in the game. Listen, if you want to make a point about how games are suffering from a lack of grey area in their "moral" systems, I get it. Most games either have you playing as the Devil incarnate or the second coming of Jesus. It lacks depth and it does more damage than good in games that lock away content based on the amount of points/numbers you have put into your good or bad meters. It's a broken system that needs addressing. The only games I've seen successfully present moral ambiguity are Witcher 1 and Witcher 2. Luckily, the system in Downpour also hinged on the way you handled encounters with enemies, so it wasn't as binary as other games are. silent hill is always going to treat players like 5 yr olds learning the most black & white morality lessons. I think that was one of the choices that can really make you think. Yes. Anne's story was my favorite part of downpour. I wish the game was about her. But it was only about 2% of the game. Half of the game should have been Anne, half the game about Murphy. And at the climax, it should have let players choose which character to side with. and how to deal with their problem. Imagine on 1 side you have Anne, teary eye'd, aiming her a gun at murphy. Hearing her dads voice in her head, as she decides whether to 1) kill murphy. 2) arrest him & believe in the justice system her dad worked in 3) tell murphy to leave and never let her find him 4) tell him she forgives him and hugs him 5) tries to kill herself, but maybe murphy stops her, etc. On the other side you have murphy, deciding if he should forgive himself. If he should turn himself in, or run away, or should he stay in silent hill with charlie, etc. that was a cool moment in the game. i liked that. Although the bad endings were crap. I found it to be great, just disliked the not permanent items, I saved ammo, first aid kits, my best weapons to the end, then I found out after you get in prison again you lose it. I also disliked this system because they aren't stored away safely like they were in previous games, you have to either hold it or throw it away. I got angry when I lost the rifle and the shotgun in the penitentiary, I was saving it for the ending. Too few creatures, and the city is a bit limited isn't it? Not like the older SH where you could even get lost, so many streets, so many alleys. And what happened to the school? Hospital? Well, we had a prison, but still, there was supposed to be at least nurses in the game! Aside from that it was a great game. That's actually a really neat idea. I like it. Wow, I actually really like that idea. 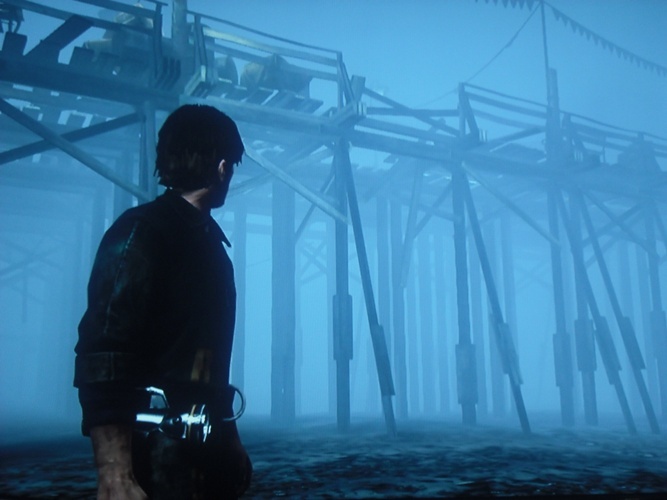 I never thought of Downpour as being strictly "Anne's story" or her being the "true protagonist" like so many other people do (most of the game's monsters and imagery are related to Murphy), but I would have liked a more split narrative between the two since I always viewed them as equals in terms of what the overall story is really about. In any case, I would have very much appreciated a scenario where Anne is a playable character. She was my favorite. I'd also add that i think having 2 playable characters would allow for very clever storytelling. Characters could encounter the same locations and view them very differently. So on first playthrough we'd get one characters interpretation of the events. And then on second playthrough we'd get the other characters interpretation, which would change our entire perception of the story. And what we thought we knew, would be challenged. And for us OCD silent hill fans, we'd have to go back and replay the first character again & look for clues about what the hell is really going on. Something like that would actually be pretty neat, and I think it could be pulled off while still maintaining the Silent Hill vibe. I always thought that Downpour's overall narrative could have definitely benefited from a Born From A Wish-type scenario, like Maria got in SH2. We could have learned more about her backstory and, gasp! Her first name during the game itself! I was actually really hoping they'd make some DLC or something that shows Anne's character. Though, I don't recall hearing much about the new comic Waltz is working on, I'm really happy he's working on one. She deserves it as a character. I was crossing my fingers for a DLC as well. They wouldn't even have to do much because they already have the town map and maybe add some new little areas. I'm no programmer or game designer, but it doesn't sound like it'd be that difficult to make considering that so many other current gen consoles do the same exact thing. I saw teasers on the comic awhile back, but nothing new lately. I've been stalking some Twitters in hopes of finding some hope that they're working on it at least. No dice yet. At least we know it's coming? If nothing else, I'm hoping the comic adds some insight to Anne. What she went through after the bus crash, falling from the cliff, her meeting with Howard, and of course some of her "sick" pre-Downpour deeds. Very few things worked for me with this game, but the few that did really worked well. The positives here are really the saving graces of an amazingly mediocre game. 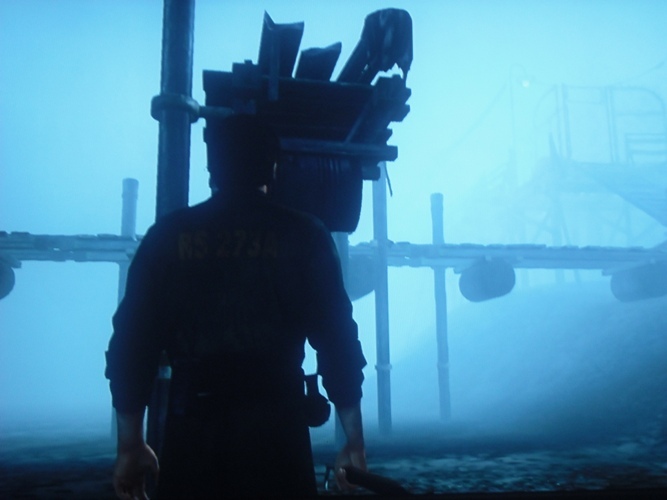 I really liked the beginning of the game, though the way I thought the game presented the Silent Hill area could have been better it still felt like a Silent Hill game. However, the longer the game went on the more this feeling disappeared, and everything I liked about the game disappeared in terms of mood and atmosphere. At the ruined church bit the game just didn't feel like Silent Hill anymore. That said, I really really enjoyed the use of music in this game, having songs playing on radios was an interesting choice. While it didn't make sense in the ingame universe 'The cars are all dead, and the radio too' once said Cybil Bennet, long, long ago, it really did have the right effect so I enjoyed that. Also, the sounds of the town was just right. Also, I didn't think they were detailed enough, and at times the town just didn't feel as 'free roaming' as the earlier games. But there was an obvious attempt to open the game up so I can't really say this was a big problem for me. But, the police cars thing just annoyed me. It flat-out just didn't work. And the way the cars moved down the streets made this game feel really really cheap in areas. I can't be the only person who noticed this either. The foggy world I found so much more interesting than the Otherworld, I thought. I found the Otherworld rather bland, and to be honest, underpopulated. I know the Otherworld is supposed to be like this, but I mean underpopulated in terms of a house just after a really big argument than the sheer isolation of the older games. The story doesn't really deserve that much attention. Yahtzee of Zero Punctuation pointed out that the crime depends on actions you made during the game rendering half the symbolism meaningless, and you know what he was absolutely right. This is something game designers just shouldn't do, it worked in something like BioShock because your choices fed into your destiny, and ultimately it had something to do with the meaning of the game, here this is not the case and the game suffers for it. Also, harping on the story some more, was it just me or did the story feel really choppy and poorly constructed? I really got this impression, and I'm almost positive there is an important scene missing from the last part of the game. Murphy Pendleton has to be my favorite protagonist from the series for some time, and he himself was interesting and really likable. I really dug the mailman, and the radio DJ was really enjoyable too (I like how his part really made you feel there was more going on behind the scenes) but other than that all the other characters were just forgettable, and to be honest kind of boring. Also, the monsters in the series were just not scary, the world was frankly more threatening than they were. This is the exact opposite of the previous games really, though there was always a sense of menace with the world too. Overall I liked this game, but it could have easily been much better. It wasn't just wasn't as smart as it seemed to think it is (with the references to Stephen King and One Flew Over the Cuckoo's Nest for example) so as much as it pains me to say this I found the game rather pretentious too. It has major flaws, but it also felt like a genuine attempt to make something good, which I appreciate more than I like. I've encountered an interesting bug I don't know if you had experienced or not. And sorry, I couldn't find a thread for the bugs and glitches so I'm posting it here. Well, I fell into the lake! Did this ever happen to you guys? The second picture shows the spot where you find the key to the little girl's house. And the third picture shows that I'm so damn good at breathing under water. I've never experienced that glitch or even heard about it.